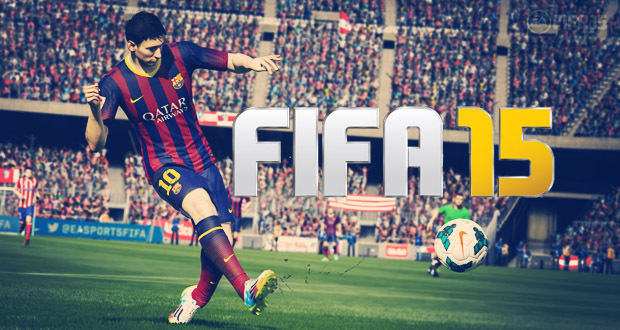 FIFA 15 Coventry City players & ratings revealed. 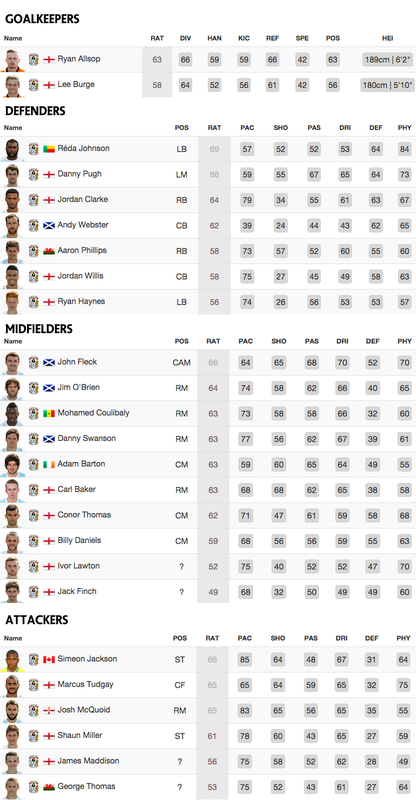 FIFA 15 is just under two weeks away & with the demo being released last week, the ratings for the Coventry City squad can now be viewed online at FUTHead.com. Club captain Réda Johnson is the highest rated City player after joining the Sky Blues from Championship side Sheffield Wednesday with a rating of 69, although he is classed as a left-back, despite playing as a centre back for Steven Pressley’s side in the 3-5-2 formation. Réda Johnson is also the joint-highest rated League One player; rated 69, level with Jobi McAnuff of Leyton Orient & Stephen Dobbie of Fleetwood Town. Forward Simeon Jackson, midfielder John Fleck and defender/midfielder Danny Pugh are all rated 66, the second highest rating within the squad. Andy Webster has dropped from a rating of 66 in FIFA 14, to a rating of 62 this year, whilst Jordan Clarke has been seen his stats upgraded +1 to 64. City fans who would feel the club made the wrong decision in allowing Carl Baker to leave the club will be pleased; due to his very late deadline day exit he is still included in the squad, with a rating of 63, compared to last year’s 62. Right back Aaron Phillips & left back Ryan Haynes have seen the biggest ratings jump for the Sky Blues; Phillips gains +8 to an overall rating of 58 & Haynes sees +6 jump to an overall 56. Now-Bournemouth striker, Callum Wilson has also received an upgrade from a bronze to silver card, with an overall rating of 65. « Pressley, MacFarlane & Murray sign new contracts.